Julie Chen is a daytime talk show personality, producer, news anchor, and host of every reality show that beats your favorite reality show's ratings. Les Moonves is chairman of the board, president, and chief executive officer of CBS Corporation. If they ever decided to print their resumés at the same time, environmentalists would take to the streets in protest over this high-profile pair's contributions to deforestation. 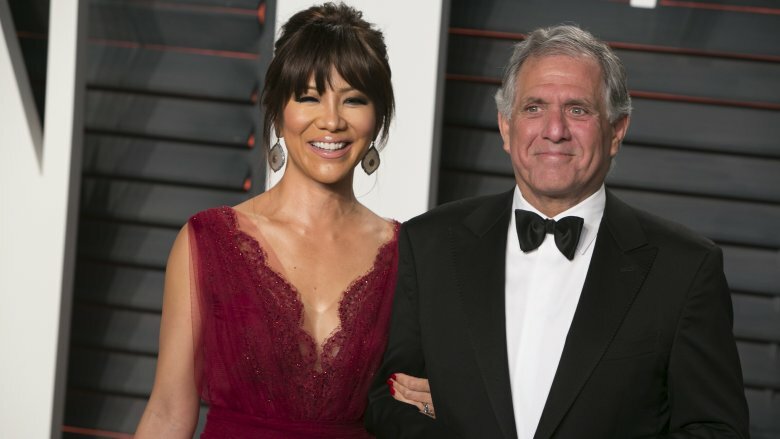 One of entertainment's most enduring power couples, Julie Chen and Les Moonves have been going strong since they began dating back in 2003. In July 2018, however, the unlikely pair — the boss and the employee with the 20-year age gap who seemingly proved maybe you can have it all — hit a huge bump in the road when Moonves was accused by multiple women of sexual misconduct. With the veneer of their perfect marriage shattered, other marital oddities became apparent. 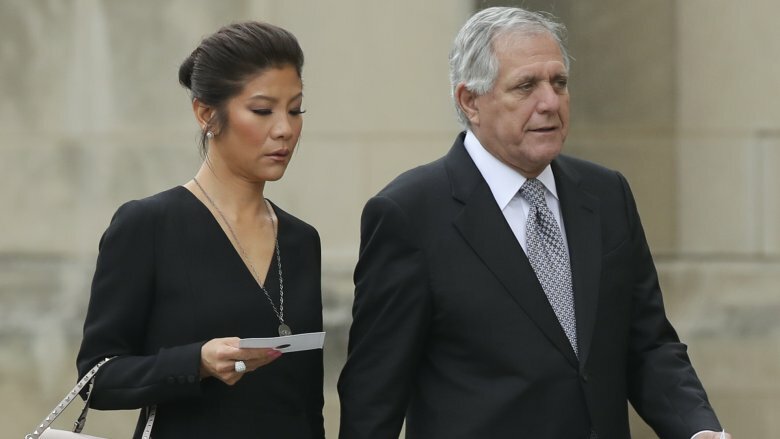 From their somewhat scandalous beginnings and behind the scenes network drama, to a sizable donation that paid for their immortality, let's take a look at a few strange things about Julie Chen and Les Moonves' marriage. Moonves was reportedly forced out of his role as chairman and CEO at CBS following a growing number of sexual assault allegations. According to Variety, Moonves reached a settlement with the network that "calls for the results of the investigation to be kept confidential." The outcome will determine what kind of severance he'll receive. Before the scandal, he was reportedly eligible for a package worth anywhere from $120 million to $180 million to a whopping $280 million. Those conditions have infuriated others inside and outside the biz. CBS This Morning anchor Gayle King said the network can't "move forward" without full disclosure: "In our own house we must have transparency." Meanwhile, life in the Moonves-Chen household has likely grown tense, considering Chen's career could go down with the ship. She stepped away from her role hosting The Talk, which is probably for the best, considering the talk has been all about her husband. "It's very embarrassing and upsetting to have to talk about her husband, but we do, we feel it's right," co-host Sharon Osbourne said on the show. "These stories that are so similar, the pattern is so similar, that for me, he's not been convicted of any crime but obviously the man has a problem." Don't think you've heard the last from this media power couple. In a statement, Julie Chen said she'd return to The Talk after "a few days off" and will continue hosting Big Brother. She also said she's sticking by Les Moonves. "Leslie is a good man and a loving father, devoted husband and inspiring corporate leader," she tweeted. "He has always been a kind, decent and moral human being. I fully support my husband and his statement." Moonves may be sticking around too. 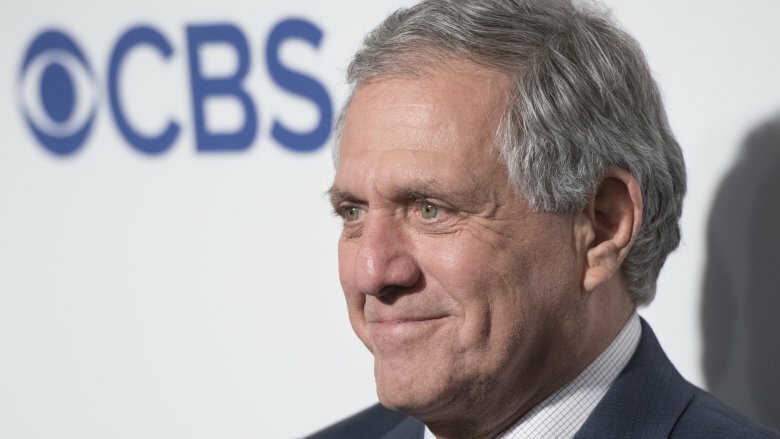 Though he's technically no longer the top executive at CBS, "Moonves is to remain as an unpaid advisor to CBS as part of his termination agreement," reported NBC News. Moonves and CBS reportedly agreed to give $20 million of his payout to causes supporting the #MeToo movement, though he issued a statement saying the "untrue allegations from decades ago" are "not consistent with who I am." According to the Associated Press, Moonves confirmed that he did have relations with some of his accusers, but he insisted those interactions were consensual. 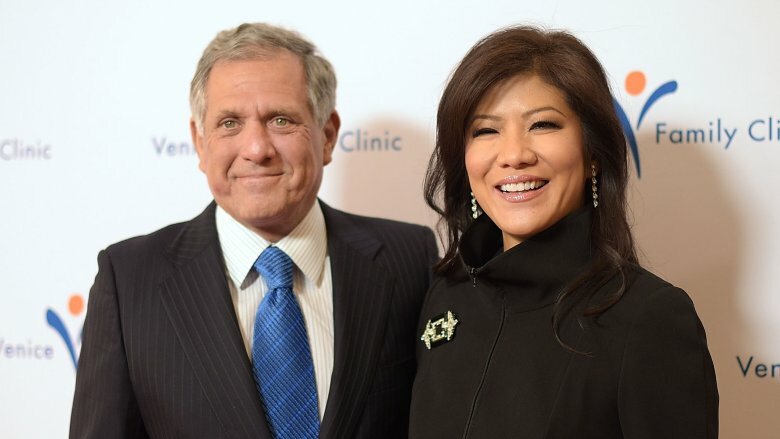 Some have expressed fear that Les Moonves and Julie Chen wield too much power and have for a very long time. The Huffington Post ran an article in September 2018 alleging Moonves was "obsessed with ruining Janet Jackson's career" after her controversial wardrobe malfunction at the 2004 Super Bowl. "Moonves ordered Viacom properties VH1 and MTV, and all Viacom-owned radio stations, to stop playing Jackson's songs and music videos," HuffPost reported. That ban "had a huge impact on sales" of Jackson's Damita Jo album. Years later, sources claimed Moonves was still trying to wreak havoc on Jackson's life and career. 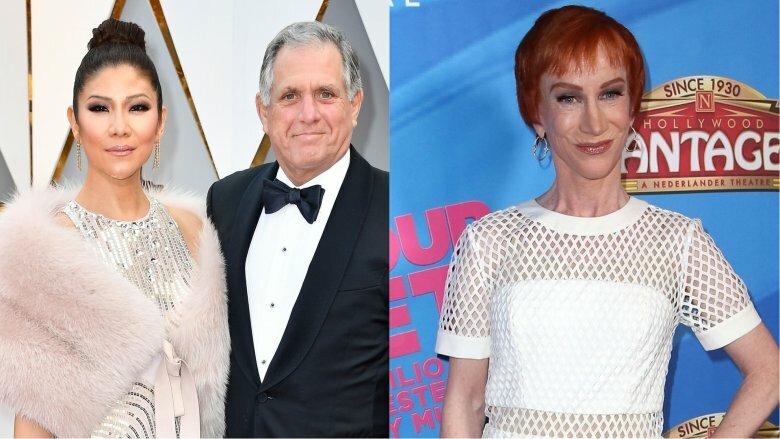 When she signed a book deal with Simon & Schuster, which is owned by the CBS Corporation, a source claimed Moonves was "furious," allegedly asking, "How the f**k did she slip through?" Chen has also addressed Jackson's predicament on The Talk, suggesting Moonves banned Jackson from the '04 Grammys because she didn't apologize. Controversial comedian Kathy Griffin cited those circumstances in September 2018 during a blunt Twitter tirade aimed at Chen: "F**k you and your misogynistic husband," she tweeted. "You deserve each other." CBS launched the daytime talk show The Talk in 2010 as its answer to The View, but behind-the-scenes drama early on almost crippled its chances. 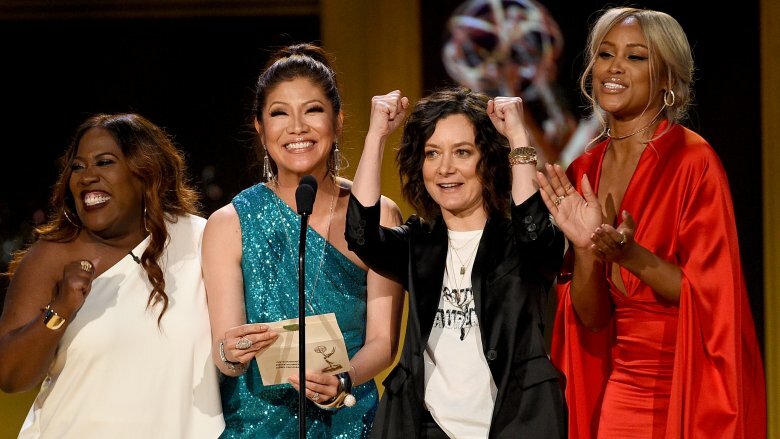 Hosted by Chen, the original panel included Sara Gilbert, Holly Robinson Peete, Leah Remini, and Sharon Osbourne. That didn't last long. In August 2011, Remini was not asked back. Two days before the Season 2 premiere, Peete was fired. Rumors swirled about Chen having a hand in those terminations. According to sources who spoke to the New York Post, the Emmy-winning show was more like "the Les Moonves show starring his annoying wife." Ouch! The most surprising lineup change occurred in September 2018 (and Moonves definitely had a hand in that one.) Chen quit the show amid the cloud of his sexual assault allegations. In an emotional video message, she said she made the decision "to spend more time at home with my husband and our young son" and thanked "everyone at the show for the wonderful years together." While some took Chen's statement at face value, others suspected she left to avoid the controversy and potential hypocrisy of all things Moonves. "They can't talk about the #MeToo Movement without her coming clean about her husband," The View's Joy Behar said (per E! News). "They can't talk about anything that's related to relationships unless Julie Chen Moonves comes clean." "From outside the Big Brother house, I'm Julie Chen Moonves. Goodnight." In her first live television appearance after her husband was forced out at CBS, the high-profile host signed off on the Sept. 14, 2018 episode using her married name — something she has never done during over the course of the show's 20 seasons, according to Us Weekly. Five days later, she did it again. Audiences will be seeing and hearing more of this because accordingly to Deadline, "the consensus at the network is to keep Chen Moonves" for the foreseeable future. Multiple sources told Us Weekly that Chen hopes to stay on as host of the long-running reality show, but insiders claim the network has been "quietly putting out feelers" for potential replacements. Rumored options include Big Brother Canada host Arisa Cox, Big Brother winner Will Kirby, and Celebrity Big Brother runner-up Ross Mathews. Moonves and Chen started dating in 2003 and married in Acapulco, Mexico in 2004, but that didn't sit well with his estranged wife of 24 years, Nancy Wiesenfeld. Although she filed for divorce in 2003, citing irreconcilable differences, Les Moonves was apparently tired of waiting for the process to play out and got a California judge to immediately grant him a divorce citing his "desire to return to the status of being single." Wiesenfeld claimed the way her marriage ended was "not moral," telling the New York Daily News, "I felt that everybody knew about what was going on [between Moonves and Chen]. And everybody did know. Except me." Even though Wiesenfeld still owned stock in CBS' parent company, Viacom, at the time of the 2004 interview, she had no interest in watching anything on the network. "Neither I nor our children have watched it in years," she told the Daily News. "I don't want to see [Chen]. It's not healthy for me or my kids." According to Wiesenfeld, she has never actually met Chen: "I hope to God I never will." Sitting down on Larry King Now in 2016, Chen revealed the "secret" to her marriage with Moonves. "Very early on my husband said to me, '…just know anything you say you can't take it back, so never hit below the belt,'" she recalled. "No matter how emotional you're feeling or how vulnerable, or hurt or angry. And we really don't fight. We don't fight." "I'm a very easygoing person, I wake up happy, and my husband — he has learned how to count to ten backwards in his head," she told King. "He says, 'You have no idea how many times I bite my tongue.'" Chen explained that the one time he didn't keep quiet, she "shut off and shut down." When King grimaced, she replied with a smile, "It works." "What's the matter, you say nothing?" King asked her. "Oh, I won't even be in the room for you to say 'what's the matter,'" Chen shot back. "I will ice you out." At that point, King just shook his head. Same. In 2017, CBS announced it would finally be getting into the Celebrity Big Brother business, 16 years after the U.K. version hit the airwaves. As the host of Big Brother, Chen seemed like the obvious choice to host the celeb spin-off. However, since the new iteration had a significantly shorter television season than its counterpart, Moonves mandated that Chen's compensation be significantly less as well. "If you know one thing about my husband, it has to make economic sense. He comes home for dinner and says in a very Godfather, mafioso-style, 'Jules, you tell your lawyer this is not a negotiation. This is what the deal is and you're going to accept it,'" Chen told The Hollywood Reporter. "And I said, 'Is that the way you speak to your wife?'" She reportedly laughed, before continuing, "He said, 'You tell your attorney this is not a game we're playing. Everyone's taking a haircut. This is the only way it will make sense financially. You shouldn't be expected to be paid as if it's a full series. It's a condensed version.'" We can assume Moonves knew Chen's lawyer wouldn't put up much of a fight. Why's that? Well, Chen's lawyer is Jon Moonves – her husband's brother. The University of Southern California Annenberg Media Center was officially named The Julie Chen/Leslie Moonves and CBS Media Center in 2015. Chen graduated from the school in 1991, and Moonves served as a member of its board of councilors, so it only makes sense that their names would grace a campus building. The "major donation" definitely helped, too. (Kudos to Chen for securing top billing.) According to B&C and USC President C. L. Max Nikias, the "20,000-square-foot, two-story state-of-the-art media center," was a "generous gift" from Chen and Moonves that "prepares today's communication and journalism students for the world of tomorrow by mastering cross-discipline technology in a real-world setting." "Spending time with the bright, engaged students I've met at USC Annenberg … energized and motivated me to be involved and hopefully make an impact on future generations of journalists and communicators," Chen said at the ceremony. Calling it "better than any studio" he had seen in the country, Moonves encouraged journalism students to cling to the basics, even in the face of new technology. "Learn how to tell the story. Learn the who, the what, the where, the when and tell it truthfully, tell it straight ahead, tell it from your point of view, because that never changes." The joy of the namesake was short-lived. The school's dean, Willow Bay, said in a statement that Moonves and Chen "requested that USC Annenberg temporarily suspend use of the media center's name until the investigation [into allegations of sexual misconduct by Moonves] concludes. 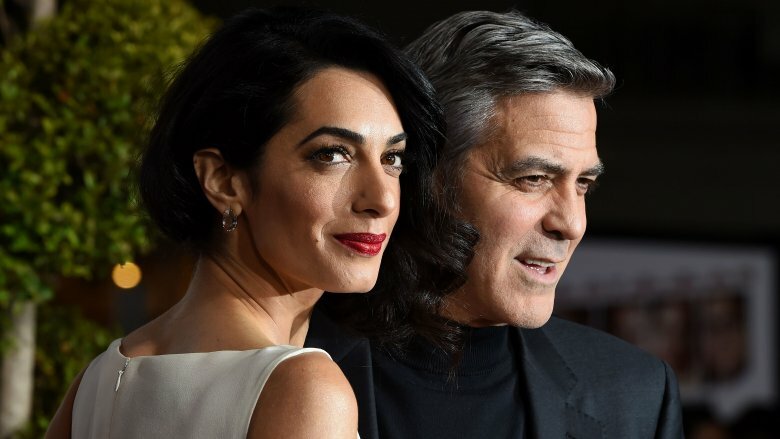 Chen and Moonves count George and Amal Clooney as two of their best friends. They're such great pals, in fact, that Chen was the first to confirm that the couple was expecting twins. Did she get permission to do that? Of course not. That's what friends do! "I didn't call, but Leslie has known him for so long," Chen told Entertainment Tonight. "He [said], 'You know what, I think it's okay.' This is news that everyone celebrates. How could you want to keep it a secret? And it's way past the 12 weeks. She's due in June!" And since they're such good friends, Chen was sure to get the twins a special gift. According to The Hollywood Reporter, she gave the newborns "three sets of different things according to the weather that they'll be in when they travel" and "two books by Maia Haag, including My Very Own Fairy Tale for Ella and My Very Own Name for Alexander." It's already looking like these twins will either be movie stars, humanitarian lawyers, talk show hosts, or the CEO of a network. Take that, Olsen twins. A long car ride with your significant other is fun, until it isn't. Chen knows this all too well, only replace "long car ride" with "carpool with your husband." 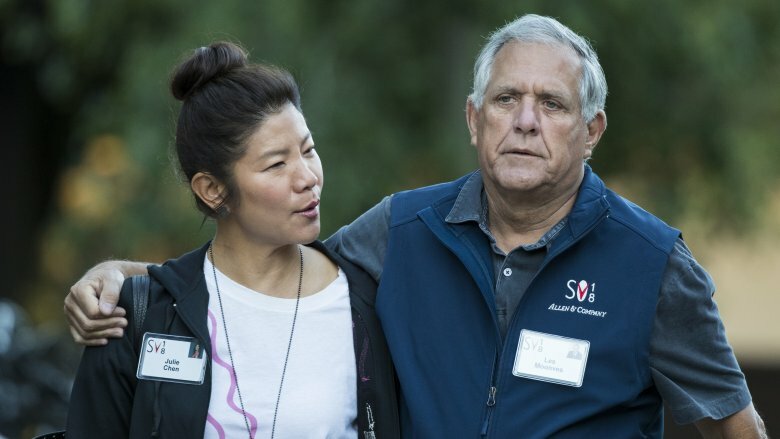 You see, sometimes Chen has to take work calls while in the car with Moonves, and that might cause some unintentional hilarity, since Moonves is the CEO at her place of employment. Chen said she usually participates in a conference call for The Talk during her drive into work, so she'll tell her husband (via the National Enquirer), "You can't weigh in, you can't talk! Don't even let them know you're in the car!'" But that apparently doesn't keep Moonves from dishing out plenty of unsolicited advice when the call ends. Chen said she tells him to "Stay in your lane, Mister!" She claims "He's got a note on everything! And I'm, like, telling him, 'Guess what!? If you didn't hear this meeting, you'd have said later, 'Hey … Great show today!'" "I did not know you were gay," Chen told Watch What Happens Live host Andy Cohen when he visited The Talk in 2017. "Some people didn't, believe it or not," Cohen replied. All jokes aside, the two hosts have a genuine friendship and have come a long way since their intern days. "She was a little bit of a wallflower, and I barely remember her because I was the star intern," Cohen said. "And then she blew up into this glamour bomb, and she's like, the Chenbot all of a sudden." 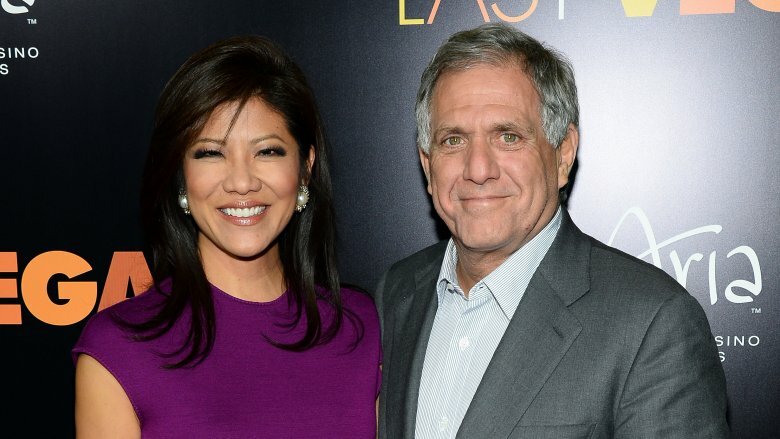 When you're Julie Chen and Les Moonves, just one place to live isn't enough. In addition to a condo in the affluent Pacific Palisades and a mansion in Beverly Hills, the power couple dropped $28.8 million in 2014 on beachfront Malibu digs once owned by Microsoft co-founder Paul Allen. "The five-bedroom, seven-bathroom house is next to the John Lautner house previously owned by Courteney Cox and David Arquette," according to The Hollywood Reporter. "The prime property on Carbon Beach is 5,794 square feet and marks a trade-up from their former digs, a three-bedroom, four-bathroom house on La Costa Beach." According to the Los Angeles Times, they sold their old La Costa digs for $11.1 million. Imagine your starter home going for that much. Imagine not caring if your new home cost more than twice that. Imagine… Oh, never mind. Live your best lives, Julie and Les.